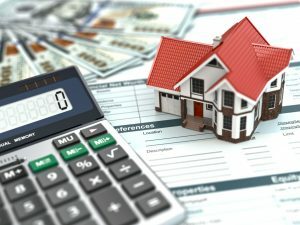 Many prospective home buyers across the country wonder with rising interest rates and home prices if they will be able to afford a home if they have a limited down payment. The Wells Fargo Neighborhood Lift Program in Kansas City is one program that will offer potential home-buyers in that area to buy a home with considerable assistance. Wells Fargo is offering $15,000 down payment help to qualified borrowers. This is called the Neighborhood LIFT program, and it is making a return to the Kansas City market after a four year absence. Wells Fargo announced this month, in addition to NeighborhoodWorks America and its member, Westside Housing Organization, that the bank will offer $5.7 million to increase homeownership in Clay, Cass and Jackson counties. The new outreach program is not the first and only time that the big bank has offered Neighborhood LIFT to Kansas City. In 2014, a grant of $6.3 million was offered by Wells Fargo to help create 300 new home owners by offering education for home buyers, plus down payment grants of $15,000. However, there are eligibility requirements of which prospective buyers should be aware. Your annual wages cannot be more than 80% of the local region median income. That is approximately $64,000 up to a family of four for Kansas City. Also, there are special considerations for service members, veterans, law enforcement works, firefighters and EMTs. These considerations can include a bigger down payment grant from Wells Fargo. These workers are allowed to earn as high as 100% of the local region median income. That is approximately $80,000. These employees can get up to $17,500 in down payment assistance help. Buyers that have been approved can have as much as two months to get a final contract to purchase a home in the aforementioned counties. The regional vice president of NeighborWorks America for the Midwest region, John Santner, the banks program will create at least 300 new home owners in the region. Buyers who participate do not need to have a Wells Fargo mortgage. Borrowers can get a loan from any mortgage financer that participates in the program. According to Mayor Sly James, Neighborhood LIFT is a good catalyst for home ownership to be within reach for veterans, teachers, families and first responders. The mayor told the press that he welcomes this home ownership grant program to provide more city residents with a variety of affordable home purchase options in the city. To get the full grant amount, home buyers have to commit to live in the property for five years. Wells Fargo also announced this week that the program will launch in Florida in Lake, Orange, Osceola and Seminole counties, with a $6.3 million commitment by the bank to increase local home ownership. Orlando Mayor Buddy Dyer stated that the city is committed to make sure that more residents have access to affordable, safe and high-quality housing. A key part of this effort is to devise new policies and practices that take down barriers for citizens that want to own a home. That is the reason the city is pleased to offer the Neighborhood LIFT program by Wells Fargo. According to Orlando city statistics, the program for 2018 follows the 2012 program that created at least 200 home owners in the city. Wells Fargo has done 65 such programs in the US in the last seven years. The mayor also stated that when the next free Neighborhood LIFT event occurs, people can walk in without signing up. During the last free event, more than 350 possible home buyers registered on November 30 and December 1. But those who want to walk in should have documents required to get mortgage funds. The required documents are at www.orlandoneighborhood.org. Possible home buyers can get mortgage financing in Florida from any lender that participates. Eligibility will be determined by the program and will administer the grants. Homebuyer and financial education also will be provided. Home buyers that are approved have up to two months to finalize a contract to buy a home in participating counties. Wells Fargo also is giving $225,000 to as many as 450 home buyers to receive free homeownership counseling. Homebuyers interested can be a voucher at the Neighborhood LIFT launch event in Orlando. This event provides the necessary one on one homeownership counseling at no cost with a housing counselor from HUD in the Orlando area. It is estimated by Neighborhood Works that this program will create at least 300 more home owners in Orlando. If you live in one of these cities, or even another major metro area and want home ownership help, check with your city’s housing website to see if the Wells Fargo program is operating in your area.